I've searched the internet for what I believe are the BEST free fonts. From scripts, to serifs, and a range of ligatures, these fonts will give you the flexibility and range to broaden your design horizons. In four weights (and italics), the eight-font Klinic Slab family is one of Lost Type's most comprehensive releases to date. A contemporary, versatile slab serif, Klinic is a workhorse that marries personality and functionality. Designed by Joe Prince, it's free to download, but you're encouraged to make a small donation. 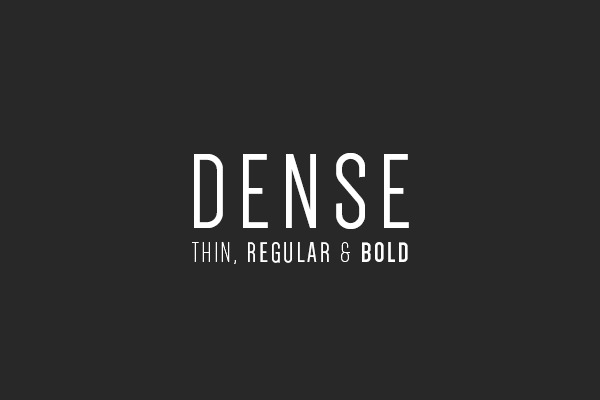 Dense is a geometric and compact sans-serif typeface. Three weights have been created thus far: thin, regular and bold. Created by Canadian artist Charles Daoud, Regular is currently the only weight available for free. Uruguayan Graphic Designer, Fernando Díaz, describes Fénix as a serif typeface designed for display and long texts. Its foundations are based in calligraphy, with strong serifs and rough strokes. Its proportions seek to gain space in height and width. 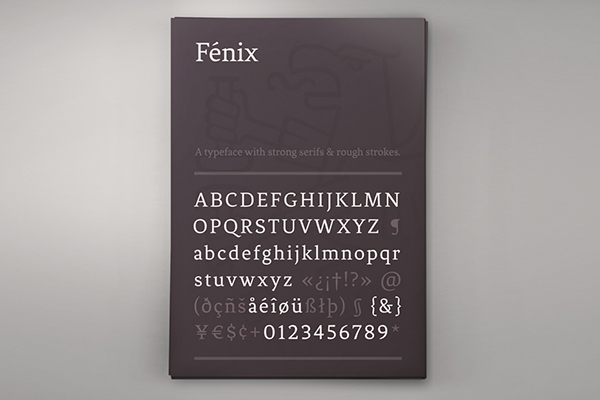 Fénix is elegant at large sizes and legible at the same time, with a lot of rhythm in small sizes. Nevis is a strong, angular typeface and is ideal for headings & buttons. It’s assertive and bold, but manages to retain a friendly tone, and looks especially good when used in all caps. Nevis was developed by UK designer, Ed Merritt. This trendy display typeface was created by designer Simon Stratford after he failed to find a free font online suitable for his artwork. The slab serif typeface is the Stratford's first, the designer creating a full set of uppercase letters, numbers and a few special characters. And all he asks for in return for the download is a simple tweet. Cylburn, designed by Dai Foldes, is a semi-connected script structurally based on Roundhand but written with a pointed brush and restrained tension that separate it from its traditional roots. This font is free for personal use, but donations are greatly appreciated at Lost Type. VersionType, created by Victor Coreas, is a condensed sans-serif typeface. It is meant to be playful and very loose. It’s available in UPPERCASE, lower case vowels and punctuation. License: For Personal, Student or Non-Profit use. Marisa Passos, a Portugal-based graphic designer, created "Higher" as a student project during her time at the University of Porto. The typeface contains a full set of uppercase characters and numbers 0-9 and is free for both personal and commercial use. Delicious is a font Jos Buivenga designed because of his admiration for typography. 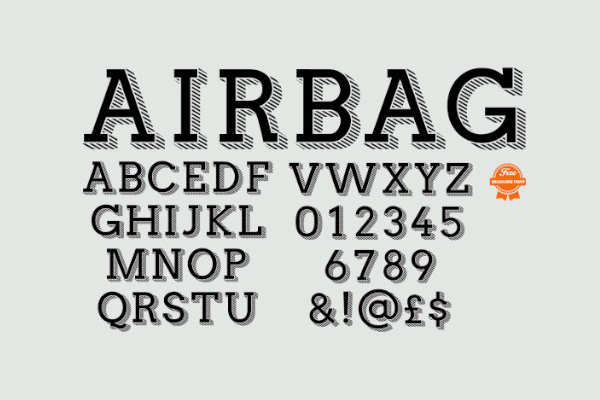 He claims it got a bit out of hand and in two years it resulted in a complete font family. Developed by Brazilian designer Álvaro Thomáz, Flex Display is a geometric thin display font that can be used in branding, candy recipes, webfonts and other. Bigmouth, developed by Timo Kuilder, has some rough edges that are polished and refined. This typeface is available in Regular and Bold. In exchange for a tweet you can download this quality font for free, just click the 'Pay with Tweet' button on the top right. The Nexa font family includes 16 styles and weights. This family has great legibility, and works very well as a headline font. Light and Bold are free, and if you want the rest then you'll have to throw some dollarsSvetoslav Simov's way. 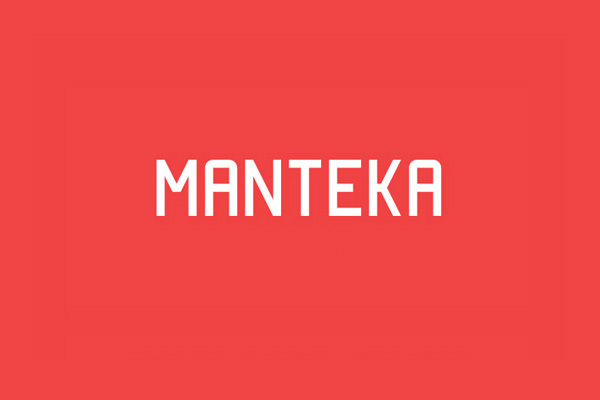 Manteka was designed by Spanish typographer Eduardo Araya and was crafted especially for use in print, but equally has a spectacular web performance. The free font has already proved very popular with designers across the globe. Lexi Griffith, a Kansas-based designer, found their inspiration in the "circuitry of lightbulb filament and wiring intricately crossing paths." It's the perfect font to light up your design journey. RITCreative is made up of Gatis Vilaks, Krisjanis Mezulis and Evita Vilaka. They are visual storytellers and their goal is to create an impact with a unique brand story, powerful design, emotional connection and innovation.